A Fuller Day: Free coffee printable. Because coffee deserves to be shared. 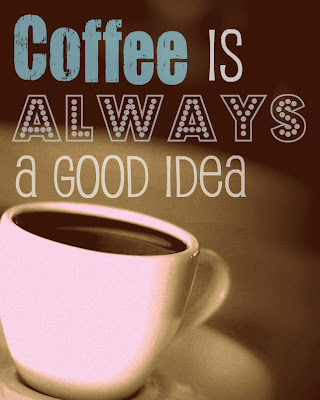 Free coffee printable. Because coffee deserves to be shared. I love coffee. All you coffee drinkers out there, this one's for you! Download it, print it, hang it, share it, enjoy! Or just read it, smile and go drink a cup of coffee. I love coffee too! I think I might just have to hang this somewhere that will make me happy.